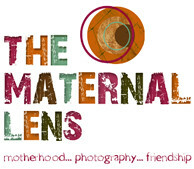 As you may already know, I blog with my photog girlfriends over at The Maternal Lens. We have a weekly feature called the “low down, throw down” and this past week, we decided to throw down with each other! Stop by and get the low down on me HERE. 🙂 Check out the other girls too – they are fabulous! This entry was posted in The Maternal Lens. Bookmark the permalink.